R304.4 Portions of a room with a sloping ceiling measuring less than 5 feet between floor and ceiling shall not be considered as contributing to the minimum required habitable area for that room. I've found no requirements that the sleeping area or kitchen has to be in a separate room. ***UPDATE: The 120 sf room requirement has since been eliminated in the 2015 IRC, meaning a dwelling could now be IRC compliant in as small as 88 square feet ( 70 sf habitable room + 18 sf bathroom). But this doesn't mean you're off the hook yet. More stringent requirements come in through local municipal code and zoning ordinances. Residential zoning categories are determined by density, and each category can come with strings attached for minimum lot and building area. So, the challenge is presented by municipal code rather than state building code, which is nice because it can be more approachable given the right circumstances. Even if a city has a minimum limit of say 600 square feet for a low-density residential zone, it is still possible to get a variance. The problem here is the dominantly individualistic approach taken by the tiny house movement so far. It has been about individuals wanting to downsize their own home. And while that may be an important thing in and of itself, many cities process thousands of permits a year, and an individual wanting to build a 140 square foot house is not going to be high on their to-do list. Furthermore, gaining exceptions often takes some money up front, which can be quite a burden on an individual trying to simplify their life. However you are much more likely to be listened to when you are speaking for say 30 people, and even the financial burden becomes less of an impact per unit. This re-orients the tiny house as less of a personal desire and more of a new way of providing very low-cost housing to address large-scale, visible problems, like the severe lack of affordable housing in the U.S. Implementing a tiny house community like Opportunity Village was not straightforward, but it was doable, we just had to make it of interest to enough people. Realizing early pilot projects like this then sets precedent for adjusting municipal code to set physical parameters for this new type of land use. And in my opinion, this will be most easily done through defining multi-unit tiny house developments rather than allowing a single tiny house in any residential zone. 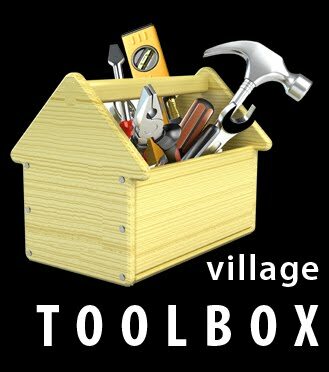 There are plenty of legal methods for developing tiny houses now, we just have to be creative and work together. This presents an opportunity to not only address the over-sized nature of modern housing, but to also rethink the social isolation that it has come to embody. Addressing our current housing predicament takes more than just downsizing—it also means re-engaging in community. Follow-Up Post: "Movement Growing Toward Legalizing Tiny Houses"
Good news. The 120sf requirement is eliminated from the 2015 IRC. Tiny just got smaller. Thanks for the update Tom, and awesome work you're doing! Can this be applied anywhere in the USA? Regarding the 2015 IRC ... Keep in mind that in NY State and elsewhere, the 2015 rules don't take effect until the charges are formally adopted by state or city officials. Until then, the 120-square-foot rule remains in force. ... Also, I'd quibble with the assertion that you can stick a kitchen in a 120 sq. ft. room and still comply with the 120 sq. ft. rule. A zealous inspector might tell you that the floor space taken up by kitchen appliances and counters doesn't count. Better to be safe, and make your room just a little larger (whether it's 120 sq. ft. or 70). Finally, remember that an enclosed closet doesn't count as habitable space either. Unless you want to live without one, you'll need to add that as well. The City of Eugene, OR is currently willing to accept the changes coming in the 2015 IRC, such as the 120sf room requirement, even though it hasn't been formally adopted yet. They just don't want us cherry picking from different codes. But yeah, if you live in an area that has no political interest in accommodating tiny houses, they could easily make it a much more difficult process. If anyone knows of variances granted or areas near Los Angeles County, California where less than 800 square feet is allowed, please let me know. NoteFromSELF@hotmail.com Thanks. I would like to know in Illinois as well as the County of McHenry in Illinois added an amendment making the square footage 8oo. Can this practice of adding amendements be challenged. If counties can do that then what is the purpose of the IRC code if a few county board members can trump the code creators. Who's in charge and who is running the zoo. We need to start suing counties under the 14th amendment which protects people to Life, Liberty, and PROPERTY. How can anyone make a 800 sq. foot home efficient when it has to be 800 sq. ft. That's a waste of heat, AC, and adds a higher electric bill to the mix. I agree LimoLine. These people do it to protect property values in the area. If a bunch of people move in and start building tiny houses the cost of the overall property will go down and so will the revenue. These people are money hungry and power hungry. I would like to one day develop a tiny house neighborhood on large lots, but that means the average property value will not make the city a lot in property taxes. They rather cram over sized homes in on small lots to maximize property taxes. Does anyone know of a way to petition a county ground sq foot requirement? If anyone has experience on what to do let me know. I saw an old article about court cases ruling in favor of the people, but they were from like the 40's. why is it seeming so difficult to do such basic simple things anymore. The northern part of reno nv, i am wanting to start with a prefab small cabin. I would like to do a dug well and a compost bathroom. I cant seem to find exact info on whether i can do this or not. Unless i am misunderstanding the bits and pieces of info i read. I am gathering nothing can be done without the mother may i from hoa's, city, county, etc. why is it i cant just do what i can afford on my own land? If I build a house, without a permit what is the maximum square footage I can make? Here in Upstate NY almost nothing happens. Code enforcement is like organized crime. wanted to share space saving of my tiny house 12x24. Gonna take some imagination. First think of the first dimensions. its longer than wide. OK... I built a 9x9 cube at one end of the tiny house..leaving 15 feet for living room/dining room table. So that leaves 9X12 feet for one luxury bathroom, one full appliance kitchen, laundry room with nice big closet, entertainment center and a nice big bed. ok.. the 9x9 CUBE (the cube is built on a platform-secret to making this work) leaves 3extra feet.. gonna put 2 of it on side for kitchen and the other 1ft on laundry room side. There is a 6x9 (took up full 9ft for bathroom) for bathroom. Shower 4x7 feet walk in rock waterfall shower with bath basin in shower area. Looks like big care. On the outside of that the potty is in the 2ft area between shower casing and exterior wall. Wash basin in bathroom as well. Bathroom is my dream bath. I had an pool company design rock 'cave" and waterfall. One side is laundry and cabinets. The 3ft perch is wide enough to hold appliances. (so that 1ft area turns into 4ft when you add cube space). I did cut base of cube at beginning entrance of laundry room and move washer/dryer down toward exterior wall to make bigger entrance (since I had 1ft off cube to work with).. the other side is kitchen. a 9ft wall 3ft deep is plenty enough for appliances and gives room for large china hutch on other wall. I took some of that cube off at entrance as well just to widen abit, more inviting. The front of the cube has the entertainment center on it with shelves for nik naks. The large bottom drawer is a pull out bed. queen size. So that left 15x12 feet for living area, dining room table (if I want to put leafs in)Plus I have a wooden play tower (like out side) inside with a full swing for my grandson (he's two).. he loves swinging in the house. I would like to know the zoning requirements in Nebraska Specifically around lincoln. 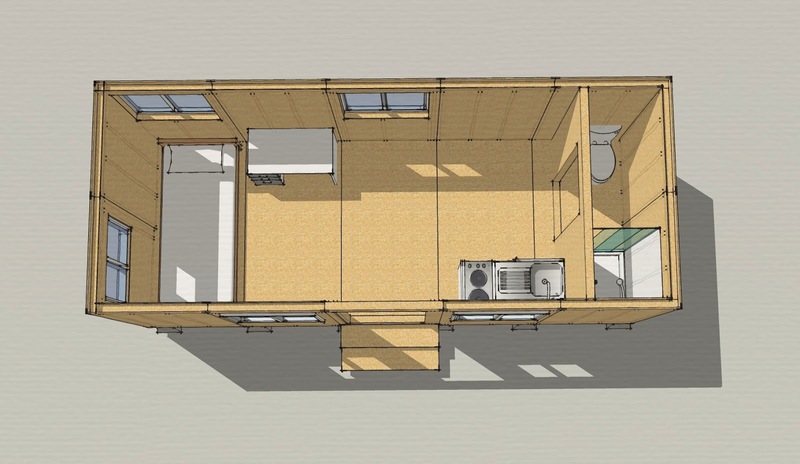 What is the maximum square footage I can build my tiny house in California without having to get a permit? Just thought I'd toss that in and then asked my question: Are you saying that a family of 12-13 could live in a tiny house of 138 square feet (or less) or am I to assume that to apply to one or two persons? Also, are you saying that state law regarding IRC can be more stringent, not less? Thanks for any reply offered. I too agree with your point like implementing a tiny house community like Opportunity Village was not straightforward, but it was doable, we just had to make it of interest to enough people. Realizing early pilot projects like this then sets precedent for adjusting municipal code to set physical parameters for this new type of land use. Very informative. One of the tinny flat I have ever heard but the main thing is that there has some good option to use it in better way. If you look around in Access property records then you will see there has some of such flat before. ake Pend Oreille is one of the West's biggest freshwater waterways with a few islands close to the Clark Fork estuary. Dr Andrew Unterweger is a very professional man working in real estate field from many years.